Sea Of Thoughts (Adrian Everts) is a Producer/Musician from the Netherlands who has release four albums. His latest being the 10 track “A card towards infinity”. It’s sometimes hard to find the words that accurately bring justice to an ambient work. The album offers music that, although subtle and slow-moving, in places, throbs with life. 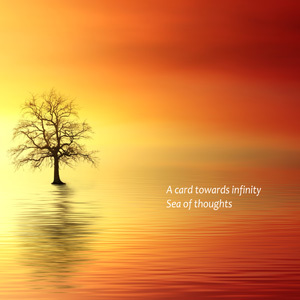 Sea Of Thoughts’ work is deep and majestic, like a radiating cytoplasmic substance. This recording is so consistent that it forms itself into almost a symphonic structure, as if it were one piece with different movements. And in fact the track, “In search of sunrise”, is actually divided into 5 movements to sustain that theory. Beginning with the opening track, “Silent seacoast”, there is a beautiful and repetitive droning piece that is bathed in a wash of sound. 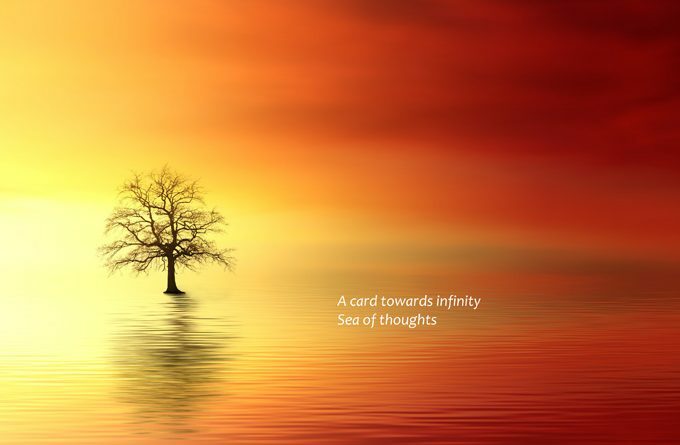 This first track quickly sets the starting tone for the rest of “A card towards infinity”, which is then allowed to expand and flourish in diverse directions. As the first track glides into “Salvation”, you barely notice a transition has occurred, it’s that well-orchestrated. Your mind is completely in tune it simply does not recognize a change until Sea Of Thoughts brings in waves of stuttering white noise. This is the philosophical side of Sea Of Thoughts who adds intellectual content to ambient music. Sea Of Thoughts is one of those ambient artists who never fails to channel the intricacies of what makes life on this planet so wonderful. Uplifting, moving, delightful, but also extremely haunting, the piano notes on “Compassion” and “Innerspace” resonate with emotion and atmosphere. This is the essence of humanity expressed in the most universal way possible, and this beauty can be used as an aid for getting a glimpse deep within one’s own inner psyche. Sea Of Thoughts seems to effortlessly let loose these life-altering sonic soundscapes as he moves forward through “Empathetic movement”, once again dominated by his piano melodies. The beginning of “In search of sunrise part 1”, showcases the artist’s minimal approach and knack for creating picturesque imagery. Slowly the calm, reflective vibe begins to unwind towards lusher soundscapes and flourishing dynamics. A throbbing bassline unfolds, supported by percussive nuances that build in the undergrowth. Once the rhythm fully kicks in, the last thing you will want is for it to end. 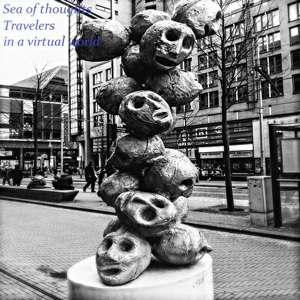 Sea Of Thoughts is at his highest tier here, and shows his mastery at building an atmosphere…a world you can inhabit and experience in many ways. Using bold but simplified forms to infuse his music with dramatic intensity, Sea Of Thoughts captures moments of sonic poetry on this album. From the subtle thought provoking melodies he weaves throughout this track to the ethereal ambient sounds bouncing around on “In search of sunrise part 2”, this will leave an indelible mark of mystery on your conscience. The production is spot on capturing the sublime, spiritual ambience that this set has to offer. Sea Of Thoughts here focuses his ample talents on a decidedly more textural, atmospheric and cerebral style, before bringing in the percussion again, on “In search of sunrise part 3”, and further building on it through “In search of sunrise part 4”. The listener wades through an ever-changing musical current on “In search of sunrise part 5”, which also features vocals samples. Sea Of Thoughts finds emotional resonance in sounds from a subtle palate – using them to create an airy, spacey atmosphere on the album closer. Throughout, the producer’s keen ear keeps the conceptual trappings from overtaking the beauty of his soundscapes. Plug this into your earphones and let Sea Of Thoughts take you to places you never dreamt were real. 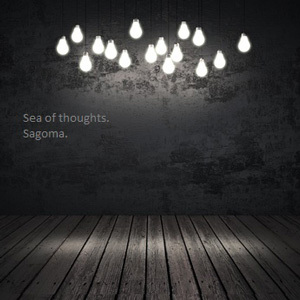 Sea Of Thoughts’ music can be found on all major digital download stores, while physical albums can be found on Bandcamp.